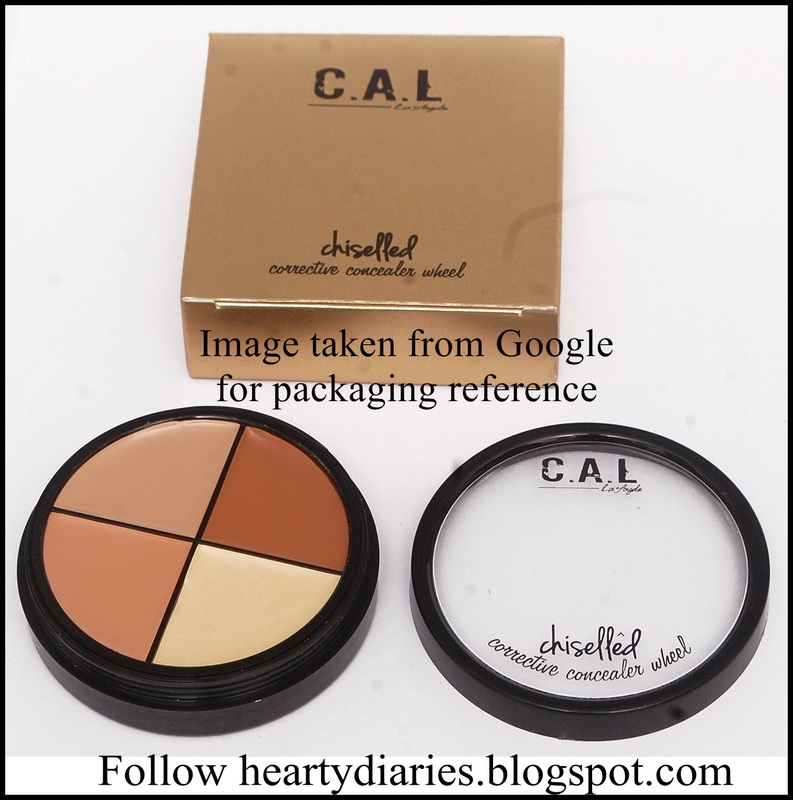 Product Description and Claim: C.A.L Los Angeles Contour Chiselled Corrective Kit Contouring helps to minimize the awkward areas of the face and improve their appearance by making them look lean, thin and attractive. It is helpful in softening the sharp edges of a square face. It has four sets viz. 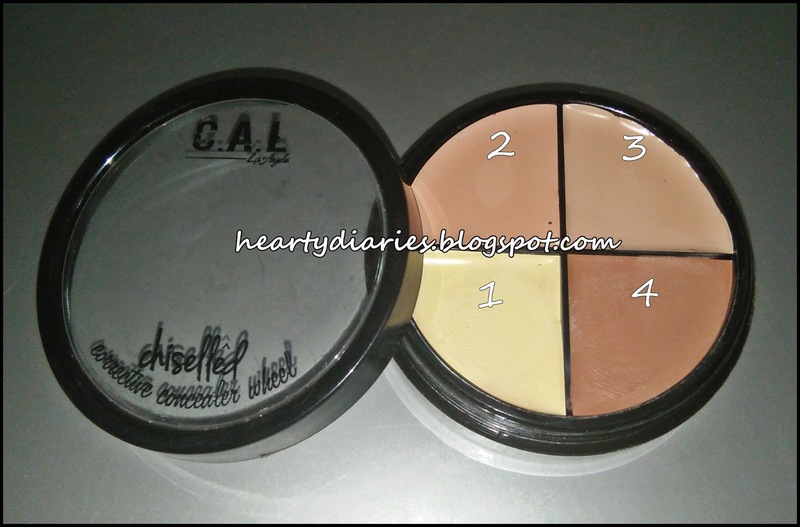 Set 1, Set 2, Set 3 and Set 4 for different skin tones. I have a fair skin and bought Set 1. Buy it here..Packaging: The product comes in a very classy gold cardboard box. There is no manual inside the box. 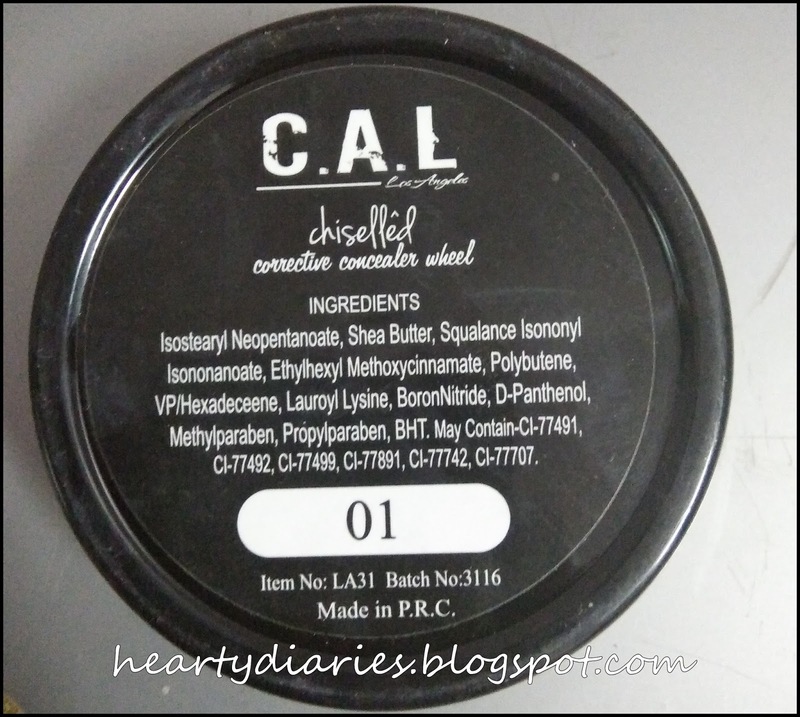 The kit has a transparent lid and according to the creamy formula of this product, the packaging is fine. The picture is taken from Google to show the outer box as I usually throw boxes as soon as I unbox products. I know I shouldn’t but that won’t happen from now. 1. 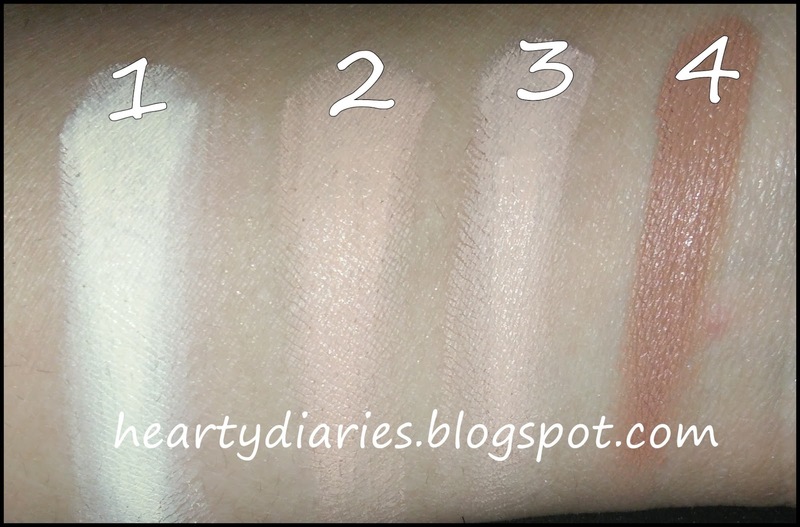 It has main shades required for highlighting, colour correcting and contouring. 2. Its consistency and formula is good. 3. It is an affordable product. 1. It doesn’t have a high coverage. 2. It doesn’t blend really very well. 3. If not blended well, it makes the skin look patchy. Will I buy it again? Yes, the product is usable enough in this price range. I would get this one again if I don’t have a high budget. It works fine and can be bought if you have an option of only this budget. Is the price worth it? Yes. It is an affordable product according to me. It doesn’t require very amount to work much due to its creamy texture. So, the product stays pretty long. Final thoughts: I recommend this product for beginners who want to learn contouring and highlighting without investing in very costly products. When I read it’s reviews on Flipkart and Amazon, I thought it will be a complete zero but according to my experience, it is worth a try for beginners. I give it an average rating but I find it as the best Corrective Kit in this range. It works best for contouring. If yes, then please share this post, comment below and follow my blog.. Please share an affordable highlighter and bronzer too….powder pressed… Not creamy like this one.. And which brushes do u use? Any DIY? Sure dear. I would definitely share these soon. Keep supporting. Keep suggesting.